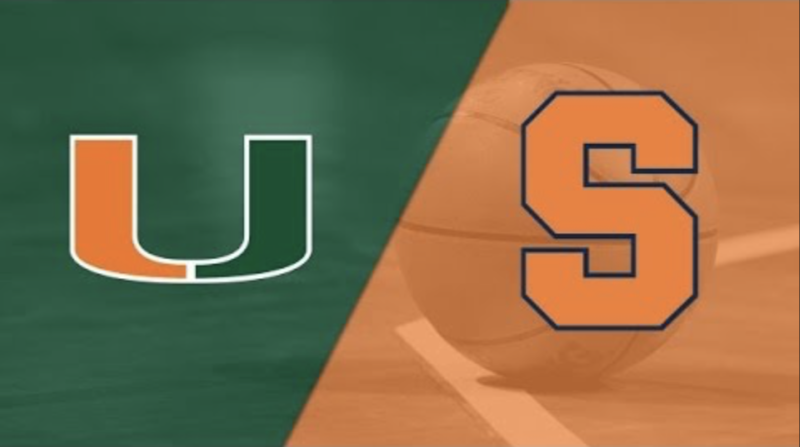 Syracuse looks to keep it rolling against Miami, and on paper, Thursday’s matchup with the Hurricanes is certainly one the Orange should win. Miami comes in incredibly streaky all year. The Hurricanes started 5-0 , then lost four straight before a quick three game win streak. Then 8-4, Miami lost four of their last five, marking the current stretch they ride coming into The Dome (now 9-8). Behind reigning conference player of the week Tyus Battle, Syracuse figures to enter with a considerable amount of momentum. The Orange is fresh off a road win over No. 1 Duke, and a big victory at The Dome against Pittsburgh. Leading the charge, Battle averaged 27 points, 3.5 rebounds and 3.0 assists per game in the two contests. However, if the junior wants to keep it going Thursday night, he’ll have to snap a rather underwhelming past against the opposition. In three career meetings against Miami, Battle has averaged a mere 12 points per game on 39 percent shooting. Realistically, it wouldn’t be surprising at all to see Battle break that trend. The Hurricanes are 12th in the ACC in points allowed per game and the worst of their schedule is pretty much all yet to come (Duke twice, VT twice, @UVA, @UNC). Outside of Battle, Syracuse could very well look to dominate inside. It’s no secret that Paschal Chukwu has showed up as of late, and it just so happens that Miami ranks towards the bottom of the ACC in rebounding. If Chukwu can limit the production of senior Ebuka Izundu (11.8 ppg, 9.4 rpg) down low, the Hurricanes don’t pose much of a threat to the Orange on the boards. So, as nine-point favorites at home, the Orange will make it three in a row, right? Find out at 8:00.